At many daycare centres across Copenhagen, children must be transported by bus out of the city each day in order to be able to have space to play in green, hilly and natural environments. 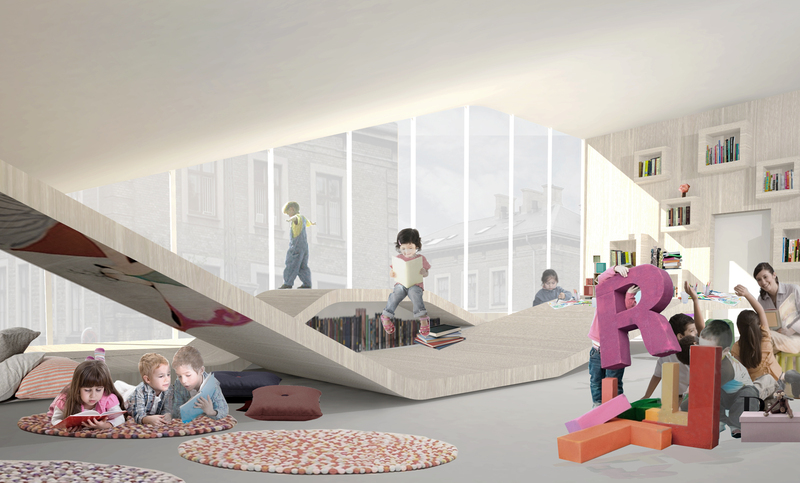 In our competition proposal for a new daycare centre in the middle of Copenhagen it was our primary goal to create a landscape which would give the children plentiful active outdoor play space at the heart of the city. It was our dream to create a sustainable, green daycare facility with a focus on movement, energy and creativity which offers children a great many play and exercise possibilities, internally and externally. The project is highly sustainable. Made from an energy neutral construction and thorough, considered use of recycled materials, the spaces in the project benefit from excellent quality daylight thus creating a building with a clear focus on energy and health.